Candle magic is something almost everyone has tried, even as a child - who hasn’t made a wish over a birthday cake? Candle spells are among the easiest yet also the most effective to perform. They are perfect for anyone who wants to have a go at casting a spell for the first time and for the solitary witch with a busy life. Yet candles are also an important part of modern pagan witchcraft rituals. They are used to mark the quarters of the circle, placed on the altar and can represent the changing seasons of the year. 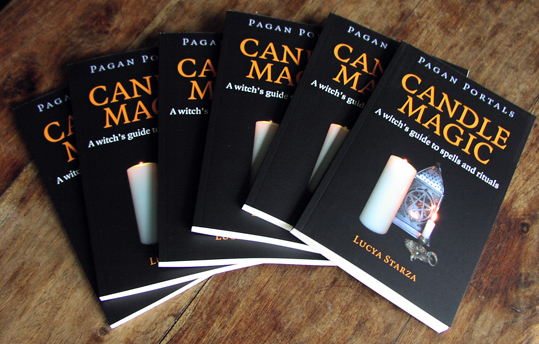 This book is aimed at all who want to use candle magic, from beginners to those experienced in the craft; with everything from simple castings to elaborate and beautiful ceremonies. It offers a background to candle magic as well as spells, rituals, divination techniques, meditations, a guide to making your own candles and more.